After a good showing in the Betfair Chase at Haydock, the Nicky Henderson trained Long Run may be aimed at the Aintree showcase race on the 5th April 2014. 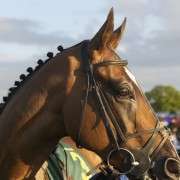 Long Run finished fourth behind the impressive Cue Card at Haydock in what many consider was the strongest field in many years to contest the renewal. Based on that performance Long Run has given his trainer much food for thought. “He definitely goes for the King George. He put in the best round of jumping I’ve seen from him at Haydock and we’ll consider giving him his National entry, which is what Robert would like. “Those two-and-a-half-mile horses had him off the bridle at Haydock and I think for all of them, with age, stamina creeps in a bit more. “It’s only three weeks between the Gold Cup and the National, and if we are seriously considering the Grand National, do you want to be doing the two?” said Henderson. Given that owner Robert Waley-Cohen has previously stated “I believe horses should not run again if they have run in the Gold Cup”, it’s doubtful Long Run will contest the Crabbie’s Grand National and the Cheltenham Gold Cup in the same season. 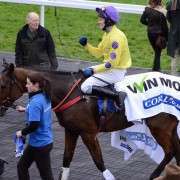 The Long Run team is largely a family affair, with the owner’s son Sam partnering the horse on his most successful outings, notably winning two King George VI chases and the Cheltenham Gold Up in 2011. 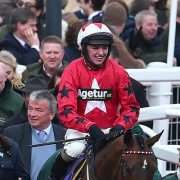 Amateur Jockey Sam Whaley-Cohen is no stranger to the Aintree fences, finishing second in the 2011 Grand National and fourth in 2013, a record which is the envy of many a professional jockey. 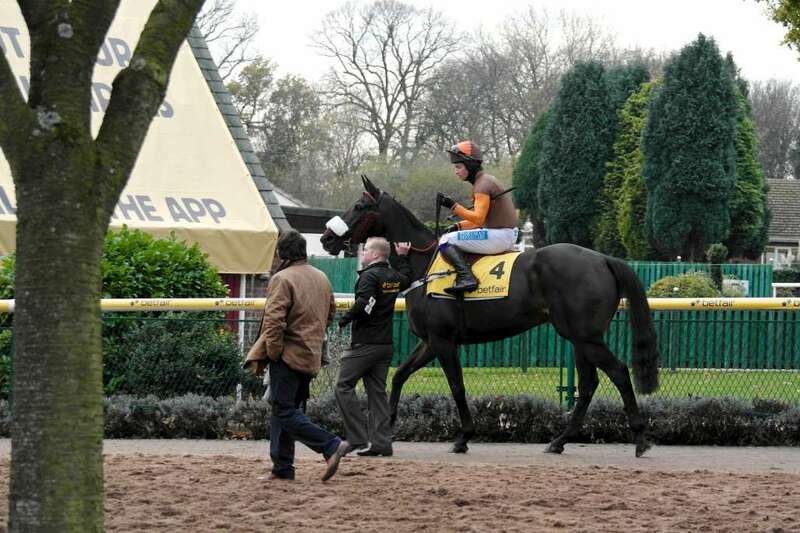 Barring injury Sam will no doubt saddle up on Long Run for the Aintree showcase. 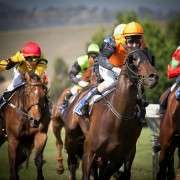 Sam Whaley-Cohen has recently been in the news when he became the first jockey in the world to wear specially developed aerodynamic silks, a move which was greeted with ridicule by some in the industry. Considering the finish of the 2012 Grand National where Neptune Collonges edged out Sunnyhillboy by a nose those silks might turn out to be a good investment yet.